Awesome Converted Bus Holiday for 2 Nights just £20 each !! Whoaaaa Round up your pals and get this sorted guys, it looks amazing!! Enjoy a little stay on a beautifully converted double decker bus complete with everything that you need for an enjoyable stay. This bus will set you back just £120 and it sleeps up to six people, that’s just £20 each !! There are stacks of dates available to choose from which you can check out HERE. !!!! Double Decker Glamping Bus Holiday !!!! Amazing conversion of our Double Decker Bus to holiday accommodation ! We are a small & friendly family run site in Stickney Lincolnshire set within 3 acres with a stunning lake. 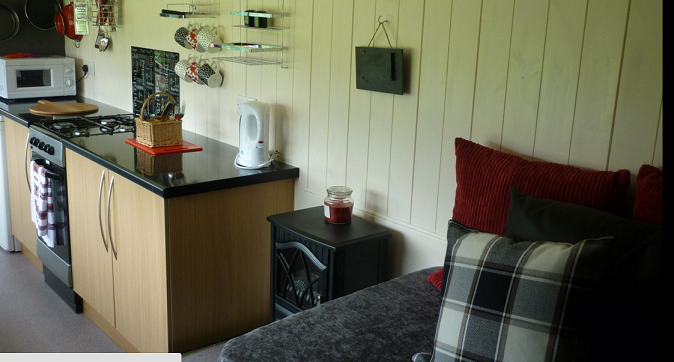 If a real ‘get away from it all’ break is what you are looking for then Wood Farm is for you! Despite our popularity we still remain quiet & unspoilt. 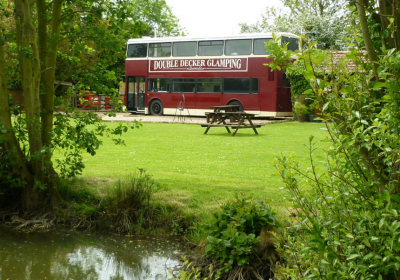 We have taken a great Double Decker Bus & completed a full conversion to holiday accommodation for up to 6 people. 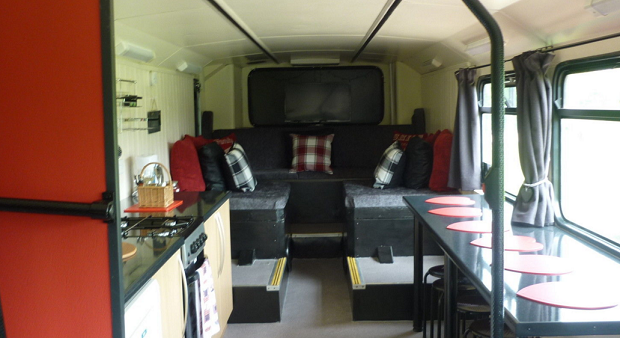 With funky open plan sleeping on the top deck with a fantastic view of the site & lake. 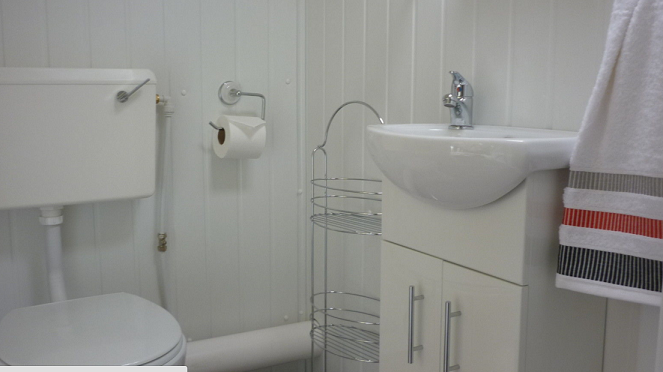 Facilities upstairs include 1 double bed & 4 single beds, quilts pillows & bed linen is provided, upstairs bathroom with fully working toilet, sink & shower. Tripod fire pit is available if you fancy a cosy evening but outdoors (logs/wood exclusive to Wood Farm sorry no BYO fuel). We are situated in an area of minimal light pollution giving the site a magical & intimate feel where the stars can light up the whole sky. Availability starts in our new season from 1st March 2016 and prices start from only £120 for 2 nights ! Please feel free to contact us any time for any questions, enquiries or to book dates !!!! Wood Farm is a hideaway site nestling at the foot of the Lincolnshire Wolds & is central for touring the famous Lord Tennyson country. Why not try one of our great local pubs with log fires & great food. Skegness is within easy reach & boasts of lovely sands with blue flag awards. Fantasy island amusement park & rides along with a whole host of other seaside attractions. Farmers Markets Mon – Sun in surrounding towns & villages. Riverside walks leading directly from site. Sibsey Trader & Maud Foster windmills. Battle of Britain Memorial Flight Centre. Tea Rooms. Hi just wondering if have any dayes of weekends of july. Could we bring a small dog please? Hi there can you please let us know the first available dates for the bus for 6 people. Hi, can it be rented for a week? Hi do you have any availability in August for a 2 night midweek break pls? We have a Jack Russell and and sometimes look after a German Shepherd. Both toilet trained and well behaved. Do you take dogs? Hi could you tell me the history of the bus please ? Has the bus got wifi ? Do you have any dates on August please ? We’re here now, the second time we’ve been. It’s great! Check out the website. Any chance of somewhere in The North East please. Hi, do you have any availability for the next few weeks ?